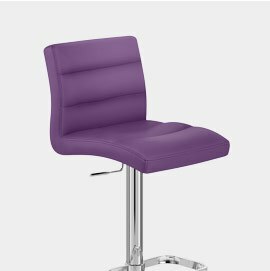 This week sees the launch of purple bar stools to our colour selector in the refined search. Now you can simply click on the purple square icon, and it will search our vast database, pulling up all of our trendy violet stools for you. A regal and luxurious colour with an extravagant flair, it's often associated with royalty and nobility, and hence delivers a truly opulent look. 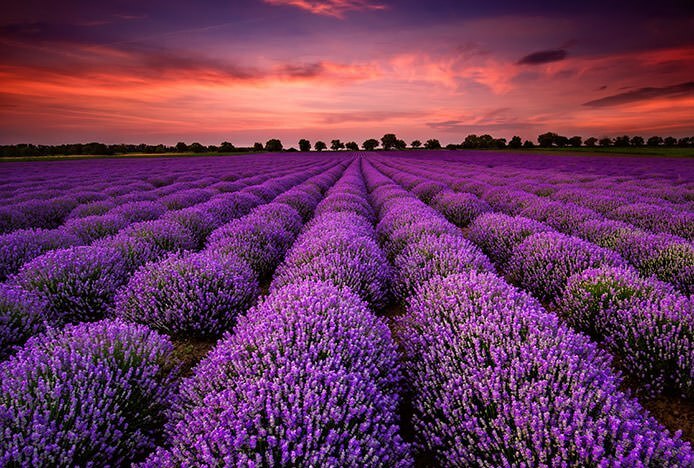 Nevertheless, modern décor is increasingly using pop colours for added brightness and highlights, and hence purple is rapidly being used more and more. Made by mixing red and blue, it’s the darkest of the pop colours on the scene at present. 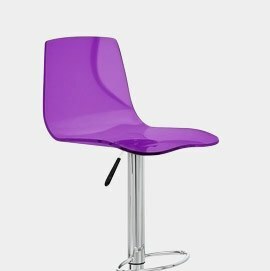 To present you with a full and varied assortment of the different styles and types of purple stools on offer, we've added the stylish Odyssey to our acrylic range, which is great if you're after a sleek minimalistic look. For those of you who prefer a padded seat we have the Palace with a mid height backrest, along with the ever popular Padded Crescent which has the added feature of curved padded armrests. Usually found in contemporary styled areas, purple compliments modern kitchens with white, grey or black cabinets, along with chic retail spaces. Increasing numbers of our customers are even choosing to mix and match their seat colours to create a striking contrast with other bright colours. 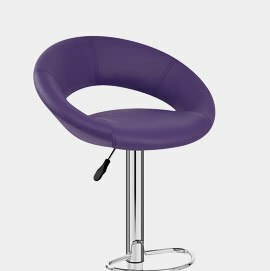 From funky purple to cream, we've added a range of new colours to our range..
Meet the latest fabulous additions to our stylish range of bar stools.. Allow us to introduce three of our latest fabulous bar stool designs..
Everything you need to know about our latest industrial piece: the Toledo Stool..